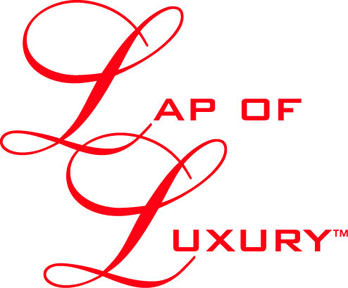 Welcome to Lap of Luxury. Scroll down. There's more to see on this page and 18 more pages of photographs. The Lynx lap robe. Sumptuous deep-pile lynx faux fur, which we imported from France, is backed with a solid deep brown velvet. Explore our web site to see many more beautiful lap robe designs. Information on how to order and ways to contact us for prices and shipping schedules can be found inside. Click on the Contact Us link. The mark of quality in fine lap robes. 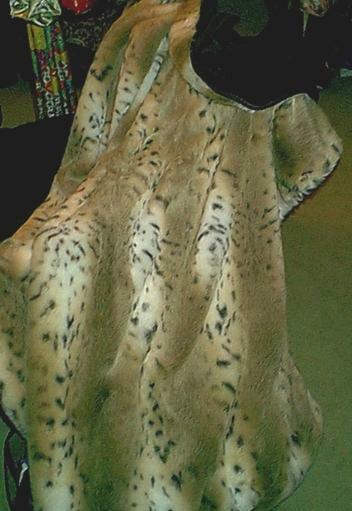 "I received my beautiful 'Chinchilla' lap robe yesterday. I absolutlely love it. It's even better than the picture." "Do you know what we call our blanket? you have it, you're happy!" "This lap robe will give her comfort." "I wish you could have seen her reaction to the 'Scotties.' She was absolutely thrilled and she loves it. Thanks again, guys." "Thanks so much for a beautiful lap robe -- I love it and it looks great on my white couch with my needlepoint pillows. It is really stunning."